Many people don’t quite understand what a “nanobrewery” really means. Basically, it means a homebrewer has a few shiny barrels and occasionally a place to put them. Barley Mow Brewing Co. may have started small, tiny even! Now, they are anything but. Just 2 short years later, Jay and Colleen Dingman have grown a small storefront in Largo into a booming business with a stellar reputation for solid and innovative brews. 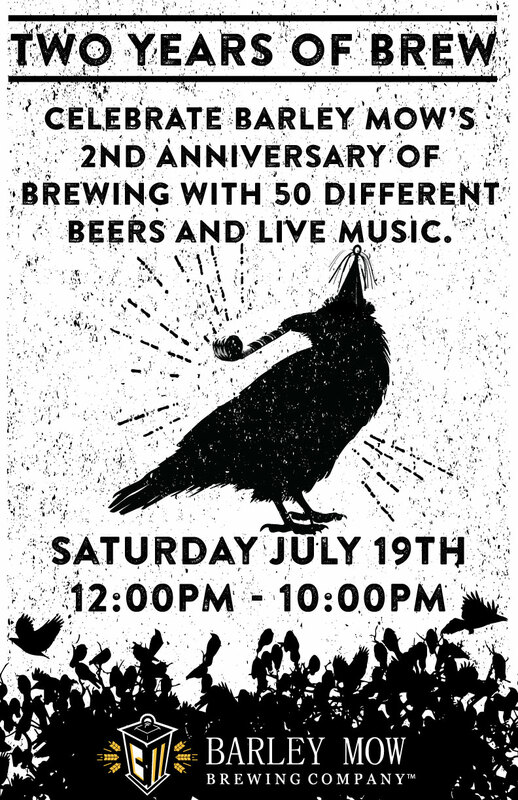 On July 19th, Barley Mow Brewing Company will hold their 2nd anniversary party. It will be held at the brewery’s tasting room and tavern on West Bay Drive in Largo, FL from noon to 10pm. There will be 50 unique BMBC brews on draft, including a specially-made cask. The celebration will also have live music and food trucks. This anniversary party is also a celebration for the upcoming expansion into their new 20,000 sq. foot production facility, also located in Largo, FL off Commerce Drive. This expansion will triple brewing capacity to 30 BBL and help launch the brews into the market during Fall of 2014.